Most 1stpaygateway accounts have the ability to route transactions through our gateway using software that can understand the information our gateway passes. For example, if you have a website for your business that is maintained by a web developer and you want to accept payments a specific way, you can pass information directly through our gateway provided that the information matches 1stpaygateway's guidelines. An important part of using your account in this way is making sure that the gateway options are properly set in the account. To do this, navigate to Security Settings Gateway Options. The Gateway Options page is divided into 4 sections. The Gateway Information is what is used to identify the account. The Transcenter ID should look familiar, as it's what is used to log in. The processor ID identifies the merchant account and is responsible for moving information between 1stpaygateway and your bank processor. The Gateway ID is a unique key that verifies your specific account is connecting to 1stpaygateway's server and passing a transaction. If you are using software like GPS or Wodify you should be familiar with the Gateway ID as they use the Gateway ID directly (in conjunction with TCID and username) to connect to your 1stpaygateway account. The 'Generate New Gateway ID' button will create a new Gateway ID. Be careful with this as it will remove the old Gateway ID and it will become unusable! If you are interested in having accounts for testing purposes, you may configure those accounts here. The 'Enable Test Mode' checkbox must be checked to enable sandbox accounts. If you click on 'Click Here to Add/Edit Test Account(s)' you will be presented with a window showing the current MIDs in your account and the option to create a new test account by account type. This section is responsible for giving your 1stpaygateway account the ability to use our Gateway API with other programmed code to pass information about transactions. Direct/Process Order ID Prefix would be used as the first part of every Order ID, which is useful for identifying where the order came from. 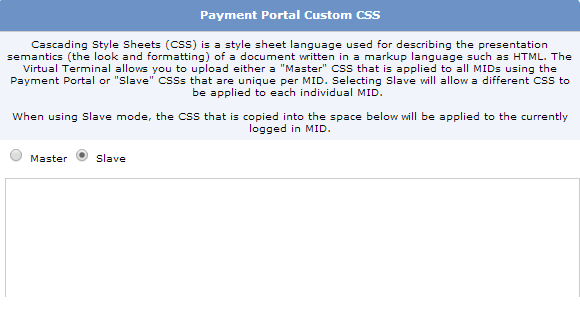 Entering code in this section will affect the way that the Payment Portal looks for users. This allows you to create a customized page for users to submit payments to that has a similar look and feel to your own website. You will need knowledge of CSS or a web developer to add this code. 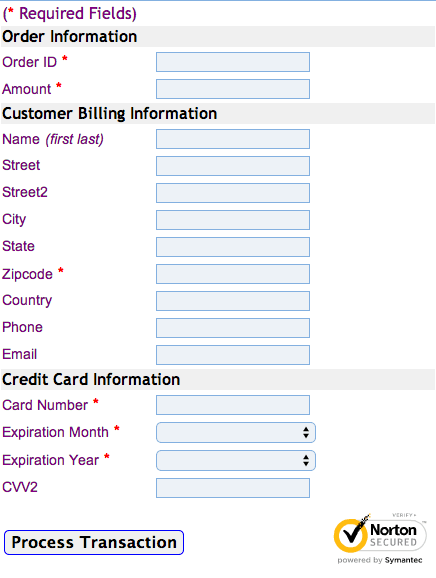 To view documentation on the Web Payment Portal, see here. Article written by Patrick P.